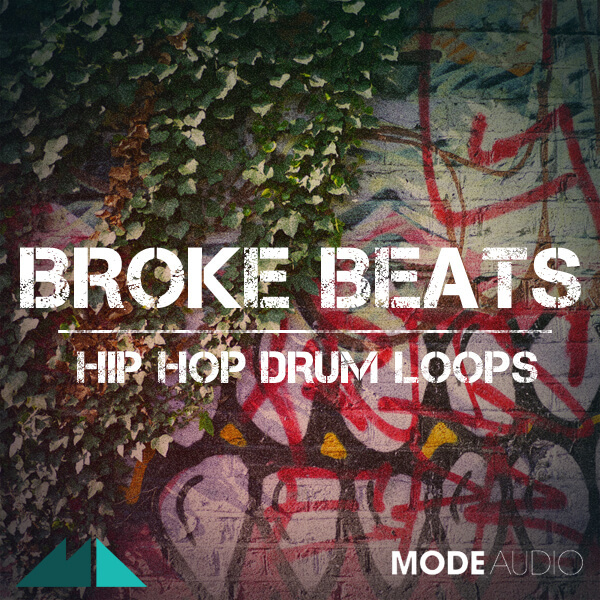 ‘Broke Beats – Hip Hop Drum Loops’ by ModeAudio surges into the excitingly unknowable future of Hip Hop by bringing together the crunch and groove of its Golden Days and modern processing technology. Pour some grit and slap some swing into your drum sound with 120 carefully crafted drum loops, 120 accompanying MIDI files and 80 drum hits, including crispy kicks, snappy snares and chunky hats. An energising mix of acrobatic rhythm and weighty, punchy production, ‘Broke Beats’ thwacks and thuds its way through influences ranging from the original crate diggers to today’s biggest and brightest. Incorporating elements both acoustic and synthetic, expect no less than big, bold, brazen beats! The pack offers up two folders of solid drum grooves and intricate drum fills, riding and rolling across tempos from 82 all the way up to 106PM. All the loops are accompanied by corresponding MIDI files, allowing you to apply your own sounds to thicken up the beat or tweak your patterns towards a new direction. Put that groove and swagger back into your musical stride – put Broke Beats in the mix!